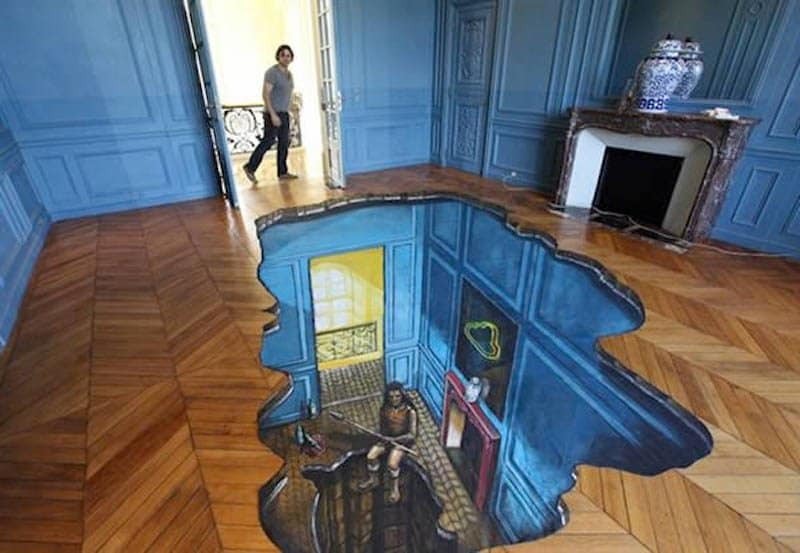 Works of art come in many shapes and forms, from pieces of artwork on canvases to amazing 3D creations on floors. 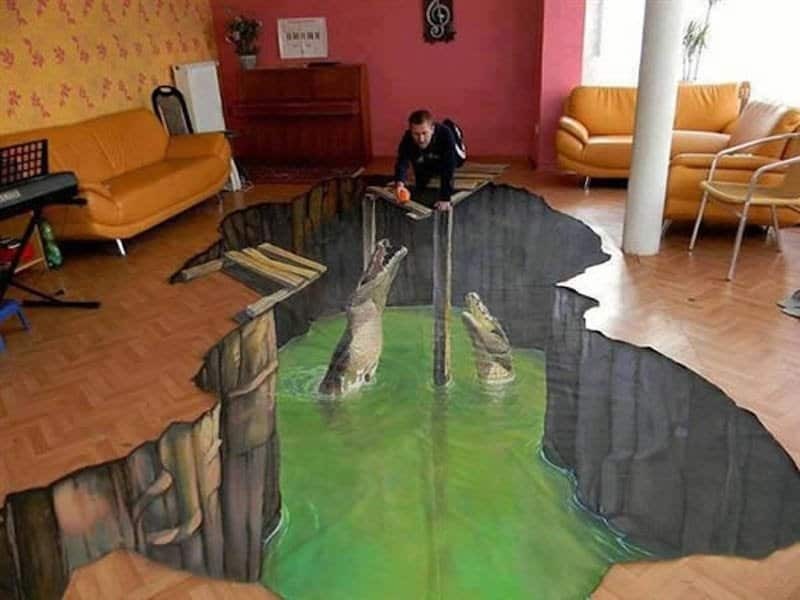 And that’s what we have in our list — some of the most creative and realistic 3D floor designs that will leave you shocked. We’re used to walking around, whether it’s at work, school, or home, and finding the same boring tiled or carpeted floors and not having anything awe-inspiring to look at. 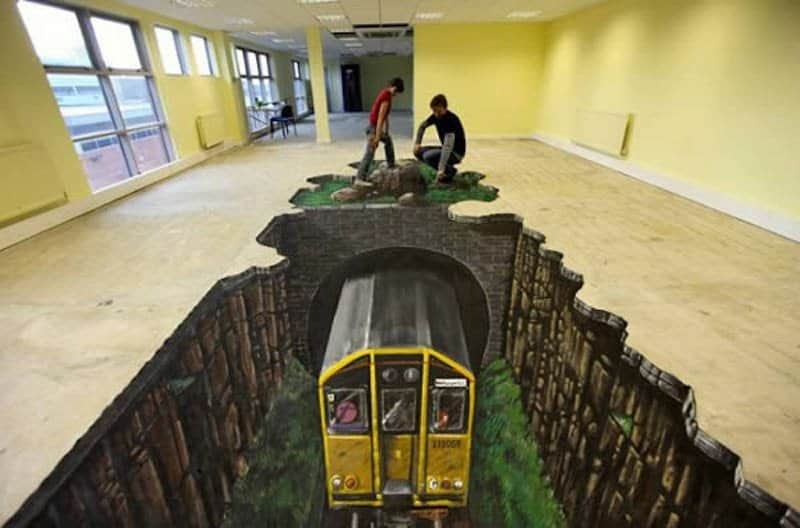 Well, that’s changed now with these awesome 3D designs, so read on! That’s a lot of windows, we wonder if they know which ones are actually real. 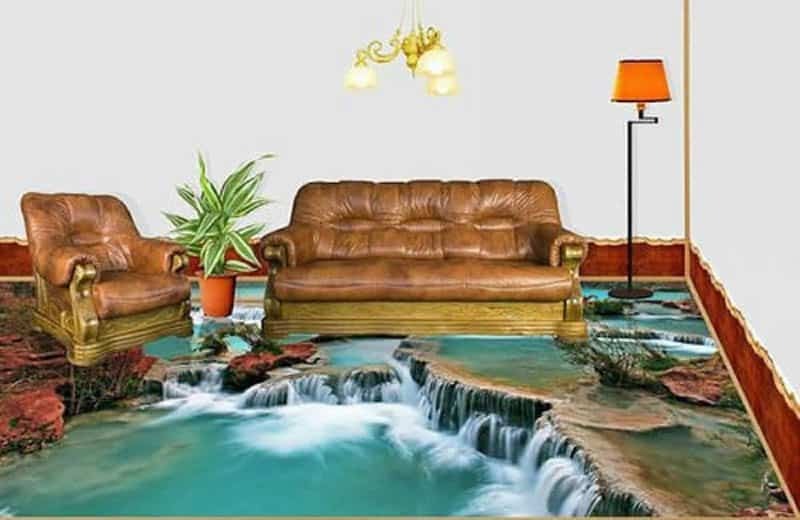 Maybe you could go fishing in your own lounge room? This one is kind of creepy. 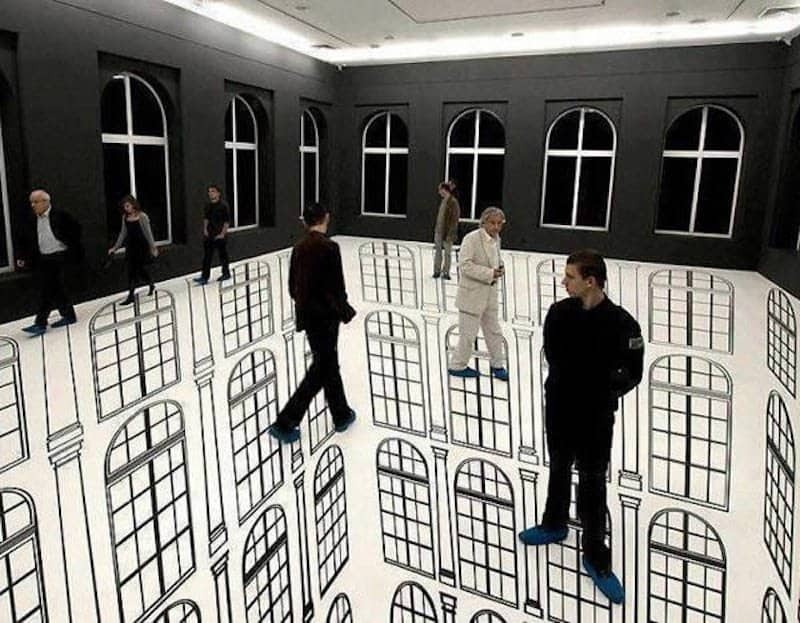 Imagine walking through to this room and seeing everything that’s in the room on the floor, like it’s a mirror. 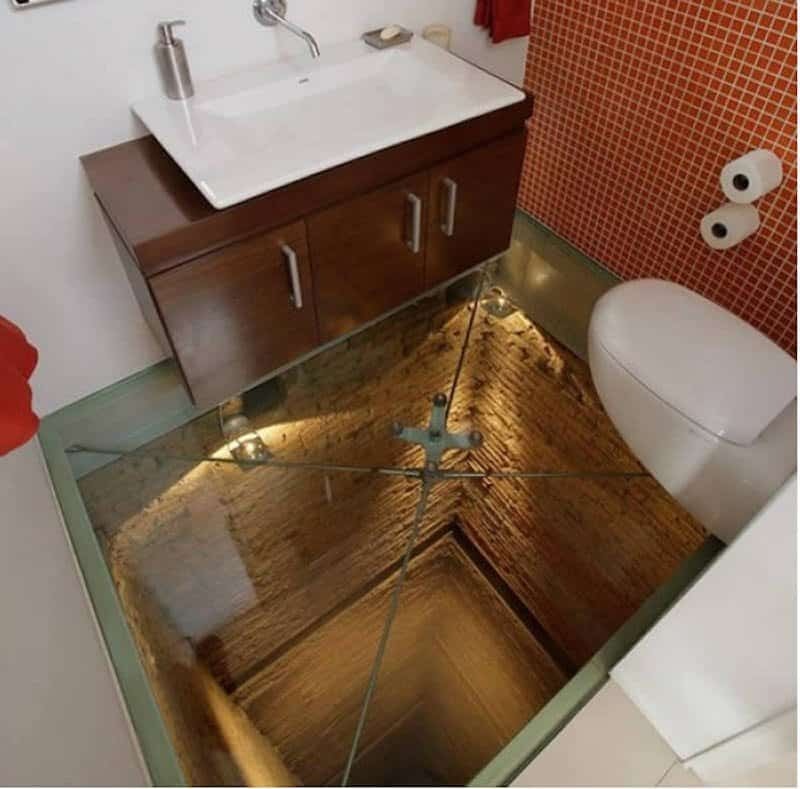 Who would be scared to sit on that toilet? 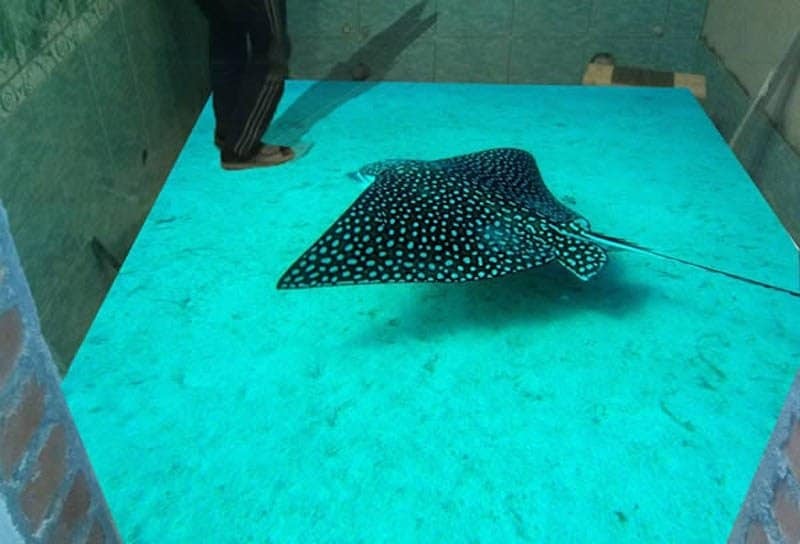 It actually looks like there’s a stingray swimming up to them. 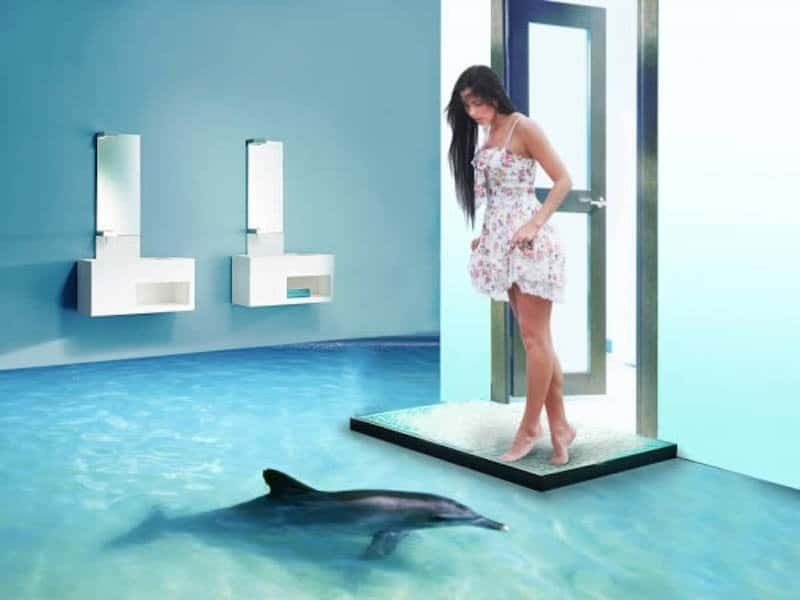 This is the most beautiful 3D bathroom design ever. 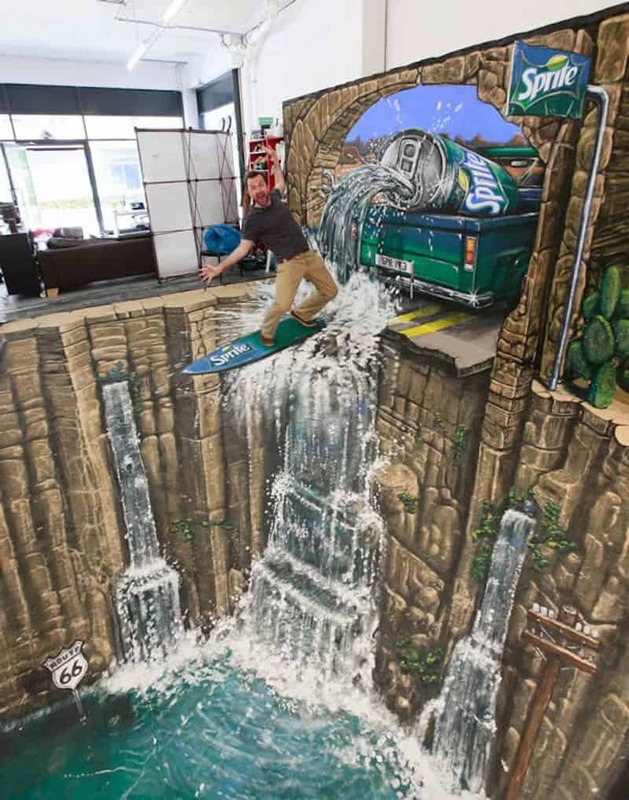 We wonder if he tried to taste the waterfall before trying to surf it. Afraid of heights? 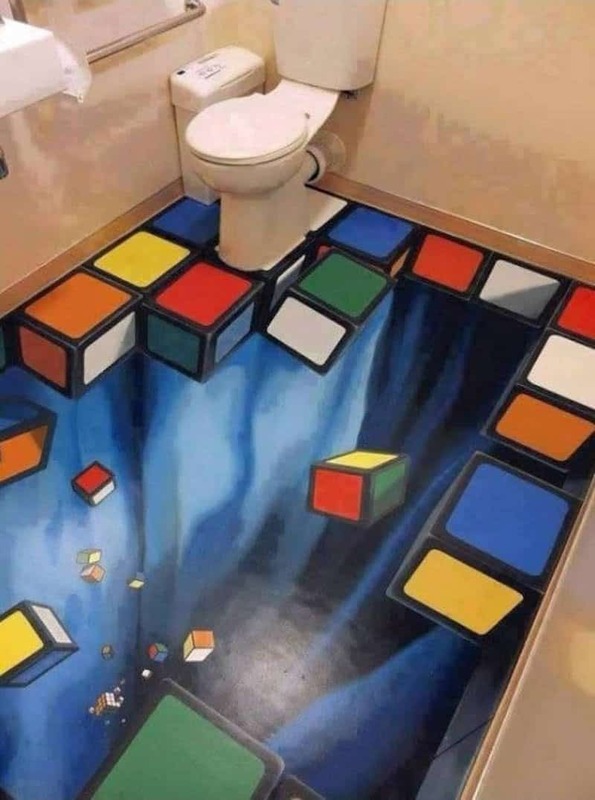 Then we suggest not using this bathroom. Is he really trying to feed alligators that are just drawings?